In this part, the rise of Hamas and Fatah is discussed. Moreover, this chapter explains what the most frequently used means of terrorism was before Israel started to act. Further, the part about counterterrorism explains that Israel carried out a multiple of counterterrorism actions during their presence in the Gaza Strip to decrease terrorism and destroy its weapons. Withdrawal of the IDF forces from the Palestinian towns led to events which gave power back to the terrorist organizations like Hamas and Fatah. They immediately started to build their capacities in the Gaza Strip. The situation in the Gaza Strip reached its peak in 2007 when Hamas seized power in the Gaza Strip. “Hamas won a stunning victory in the elections for the 132-seat PLC, winning seventy-six seats” (Bickerton, Klausner, 2015, p.423). Terrorism hitting Israel, as well as the pressure on the Israeli prime minister to act, started to rise. Immediately after Hamas seized power in 2007, Israel realized that a new conflict was about to start. Hamas possessed more than fifteen thousand combatants ready to fight against Israel. Moreover, the Qassam Brigades, which were under the control of Hamas were able to provide more than two thousand militants for any fight immediately. It is essential to add, that Hamas gathered such a high number of soldiers because it was aware of the fact, that the firing of rockets to Israel would surely bring Israeli retaliation. In 2008 and 2009 more than 1370 Qassam rockets were fired at Israel from the Gaza Strip. That number is not finalised because, during the same period, more than 1100 mortar shells were fired. Also, everything indicated that Hamas was preparing for war. Mines and explosive devices were laid, heavy weapons were deployed in bigger cities. Also, booby traps were laid, and tunnels through which the Israeli soldiers could be kidnapped were constructed. Such actions forced Israel to act (Byman, 2011). On December 19, the last ceasefire was ended. Immediately after, Hamas started to launch “dozens of rockets to mark its ending and the next day announced it would not extend it” (ceasefire) (Byman, 2011, p. 193). The Cast Lead Operation started by massive air bombing which hit the homes of Hamas leaders, infrastructure, training camps, bases and sites from which rockets were launched (Byman, 2011). The result of this activity was the death of Nizar Rayan, top Hamas leader and a huge supporter of suicide terrorism targeted on Israel. Rayan was killed by a bomb which had fallen on his home. It is important to add, that his home was also a warehouse of weapons for Hamas fighters. His death is a reaction and punishment to his membership of Hamas and support for the operations targeting Israel. Thus, the killing of Nizar Rayam could be understood as a fulfillment of the reactive counterterrorism strategies because elimination of terrorists is allowed by Israeli law. Besides, his death left Hamas without a significant person, who could conduct and support terrorist activities. Therefore, this death is also the fulfillment of the pre-emptive strategies because he was no more able to perform terrorist operations (Byman, 2011). Moreover, during the first wave of the Cast Lead, many rocket sites and weapon warehouses of Hamas were destroyed by the Israeli Air Force. By that particular action, the readiness of Hamas to target Israeli soldiers and civilians decreased. Therefore, the destruction of rocket sites and Hamas’ positions made terrorist attacks less feasible making these activities pre-emptive. Based on the analysed data, it came out that the presence of the IDF on the Palestinian territories significantly paralyzed the ability of the Palestinian terrorist organizations to plan and perpetrate retaliation attacks. Therefore, the Israeli targeted killings carried out during the IDF presence on the Palestinian territories are more likely to fulfill the goals of both counterterrorism strategies. Another tool of Israeli counterterrorism was the use of artillery, helicopters, and engineers. The second wave was embodied in the deployment of four IDF brigades into the Gaza Strip. Those four units were accompanied by a higher number of Israeli tanks, helicopters, and engineers. Explosive devices were detonated in advance which saved the lives of Israeli soldiers during the operation Cast Lead. Booby traps were avoided by moving through fields and residential areas, where they had not been laid. Thus, activities of the Israeli engineers, artillery, and helicopters helped avoid many IDF casualties. This tactic is very similar to the house demolitions carried out during the Defensive Shield. Both of them prevented Israeli soldiers from casualties. However, that particular policy does not fulfill the primary goal of reactive strategies fully to the same extent as the tactics of the D-9 bulldozers. The strategy with engineers, artillery, and helicopters could be understood as a reaction because they were deployed to decrease the number of the IDF casualties based on previous experience. They did not bring Palestinian terrorists to Israel to be tried. However, the tools of terrorist attacks were detonated and destroyed, by which terrorist attacks were not perpetrated and the lives of Israeli soldiers and civilians were prevented from a terrorist attack. Therefore, such strategy or tactics fulfills the goals of the pre-emptive strategy. It is also important to notice that the tactics described in the paragraph above would not be feasible without intelligence. Therefore, another crucial tool of counterterrorism which helped to rapidly decrease the number of Israeli casualties was Shin Bet and the Israeli Intelligence services. Months before the Cast Lead operation was launched, they had started to gather information about the positions of terrorists and dangerous areas of Palestinian cities. Also, the data obtained by the interrogations of terrorists during Cast Lead were immediately sent to the combating units to help them “thwart Hamas’s traps” (Byman, 2011, p.196). Furthermore, Shin Bet and Israeli intelligence services obtained information which led to the detection of the Qassam rocket sites and helped to interrogate and arrest terrorists. It is important to emphasize that those activities did not only save the lives of Israeli soldiers but of Israeli civilians as well, because Qassam rockets mostly killed Israeli civilians. Intelligence obtained by Shin Bet and Israeli intelligence services helped to destroy most of the Qassam rocket sites by which terrorist attacks using the Qassam rockets became less feasible or impossible, thus fulfilling the goal of the pre-emptive strategies. The information obtained by Shin Bet and the intelligence services helped to arrest and interrogate terrorists. They were tried and imprisoned, which means that the reactive counterterrorism strategies found its application because the Israeli laws were applied. Moreover, they were kept in the Israeli prisons which means they could not carry out terrorist attacks. Also, the information obtained from arrested terrorists led to the detection of other terrorists who wanted to continue in different forms of terrorist attacks. The goal of the pre-emptive strategy was met due to the fact terrorist attacks became less feasible for the terrorists detected due to the information provided by the already imprisoned terrorists. The tactics of obtaining intelligence by Shin Bet is very similar to the tactics of interrogations and reconnaissance used during the Defensive Shield Operation. What similarities do these two tactics have? Both helped fulfill the goals of the reactive and pre-emptive counterterrorism strategies. Moreover, they significantly impacted the number of the IDF casualties during both actions. Therefore, is it not a really valuable lesson for Israeli counterterrorism? Such actions can show that interrogations and reconnaissance essentially heighten the odds of success. Simultaneously, they could be a hint how to fulfill both counterterrorism strategies simultaneously. Therefore, the Israeli counterterrorism activities during the War in Gaza mostly fulfilled the goals of both strategies. The killing of Rayan and actions of Shin Bet helped punish terrorists and also to protect Israeli soldiers and citizens from terrorist attacks and Qassam rockets. On the other hand, the tactics of deploying engineers, helicopters and artillery significantly decreased the number of the IDF casualties, which could be understood as the pre-emptive counterterrorism strategies. This paper has analysed the Israeli counterterrorism operations in dealing with Palestinian terrorism and strategies which were used by Israel in their struggle. Counterterrorism is a set of legal standards and activities, by which states fight against terrorism. On the other hand, terrorism uses all available means of fight, legal or illegal. During the analysis of the chosen counterterrorism activities, this paper worked with the theories of Lee Jarvis, Michael Lister, and Scott Stewart who described reactive and pre-emptive counterterrorism strategies and their primary goals. Therefore, the result was an analytical work, which aimed to answer one primary question: Is Israeli counterterrorism reactive and pre-emptive simultaneously? As mentioned in the beginning of the paper, counterterrorism has been playing a major role in Israel since its establishment. The breakthrough was supposed to come in 1993. However, the situation became even worse for Israeli counterterrorism. Israel had to adjust to a new position considering that they and the Palestinians were supposed to establish a peaceful coexistence. Terrorism was characterized differently by different actors and therefore, we do not know a single exact definition of terrorism agreed by the majority of experts on terrorism and counterterrorism. On the other hand, when we speak about the goals of terrorism we can find more similarities. Terrorism is mostly characterized as a violent action by which its perpetrators seek to achieve their political, religious or ideological goals. The Israeli definition of terrorism should be mentioned as well because this definition also includes people who support terrorism. It is also important to bear in mind that terrorism is an ever changing phenomenon which can use any means at all. On the contrary, counterterrorism is an action, which takes place within the borders of law and tries to deal with the prevention of terrorism. The primary goal of every counterterrorism action is to disrupt terrorism and detect and eliminate its proponents. If counterterrorism is to be efficient, it requires cooperation and reconciliation of more institutions such as the police, army, intelligence and others mentioned in the beginning. In addition, counterterrorism can also use targeted killing and direct elimination of terrorists as can be seen in Israel. However, many authors and experts characterized the Israeli counterterrorism actions as either reactive or pre-emptive. Some of them opined that Israeli counterterrorism was reactive and created more violence than peace while the other labelled Israeli counterterrorism as pre-emptive trying to disrupt terrorist organizations or to eliminate its perpetrators before they can even attack. 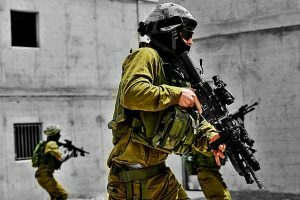 Despite the fact that some authors described Israeli counterterrorism as reactive or pre-emptive and isolated these two strategies, this paper presented the Israeli counterterrorism actions as fulfilling the goals of both strategies simultaneously. This view on the Israeli counterterrorism actions was beneficial according to us because it tried to explain that Israeli counterterrorism sought to bring terrorists in front of a court or eliminate them but simultaneously worked to make terrorist attacks the least feasible. The first empirical part about the Israeli counterterrorism activities described that Palestinian terrorism after 1993 started to be more violent than before the signing of the Oslo Agreements. Palestinians established more control over their territories which resulted in even more terrorist attacks. Israel eliminated two significant masterminds of Hamas and the PIJ standing behind the majority of suicide bombing. The assassination of Ayyash did not solve the situation and caused even more civilian casualties, which means that only the goals of the reactive counterterrorism strategies were fulfilled. On the other hand, by the killing of Hammad Israel paralyzed the ability of the PIJ to perpetrate terrorist attacks by which the goals of both strategies were met. Therefore, the two mentioned targeted killings differed in the impact they caused. Another counterterrorism strategy which appeared during the After Oslo and Netanyahu period was the sealing of the Palestinian territories. Both examples of the same strategy fulfilled the goals of the reactive and pre-emptive counterterrorism strategies by detection of the terrorists crossing the border and their elimination. Analysis of the selected counterterrorism activities allowed describing means and ways by which Israel fought against Palestinian terrorism. Targeted killing described in this paper had a rather negative impact. Khaled Mishal was not eliminated, and therefore, the nature of the reactive counterterrorism strategies was not fulfilled. On the other hand, it surprisingly met the nature of the pre-emptive counterterrorism strategies by the effect of deterrence. Comparing the three mentioned targeted assassinations carried out during the first two periods after Oslo, we would conclude that only one of them was apparently reactive and pre-emptive. However, the assassination of Mishal showed that sometimes it is not needed to kill the wanted person to make a terrorist attack less feasible. The last example of the Israeli counterterrorism actions was the cooperation with Arafat, which did not help imprison or eliminate the wanted terrorist. However, it made terrorist attacks less feasible at least for two years. If we compare this action with the cooperation with the young Palestinians mentioned in chapter three, we would conclude that sometimes disruption and interference of terrorist organisations can be more efficient than targeted killing. Paper also discussed two significantly different Israeli counterterrorism actions. The first one described how Israel tried to deal with rioting crowds. It is important to emphasize that Israeli counterterrorism was not efficient at all and therefore, it did not fulfill the goals of any strategy. Such behaviour of the IDF and other forces caused bloodshed only. The Defensive Shield Operation was more efficient. IDF started to be focused on the epicentres of Palestinian terrorism. Such an example was the offensive in Jenin, where the IDF and Israeli agents started to detect and interrogate terrorists, which allowed them to obtain intelligence vital for detection or elimination of other wanted terrorists. Therefore, such actions met the goals of both strategies by detection, imprisonment or elimination of the terrorists who were not able to perpetrate any further attacks. Comparing the tactics of house demolition during the Second Intifada, we have to admit that the demolitions during the Defensive Shield operation were more efficient and fulfilled the goals of the pre-emptive strategies because terrorists died or surrendered. In addition, the booby-trapped houses were bulldozed, or the IDF soldiers entered them with Palestinians as human shields. However, it is crucial to mention that the tactics of using the human shields were against the Israeli and International law. Although, on the other hand, it saved the lives of the IDF soldiers and therefore it met the goals of the pre-emptive strategies. The last tactic used during and after the Defensive Shield was the tactic of imprisonment of the Palestinians working for terrorist organizations. This tactic fulfilled the nature of the reactive and pre-emptive counterterrorism strategies simultaneously. In addition, this particular tactic could be compared to the imprisonment of the Palestinians during the Netanyahu period. Both tactics tried to imprison the wanted Palestinian militants, however, only the tactics used during and shortly after the Defensive Shield proved to be efficient, reactive and pre-emptive simultaneously. Therefore, Israel should be more focused on the imprisonment of the wanted terrorists in Israeli jails than on the cooperation with Palestinians. 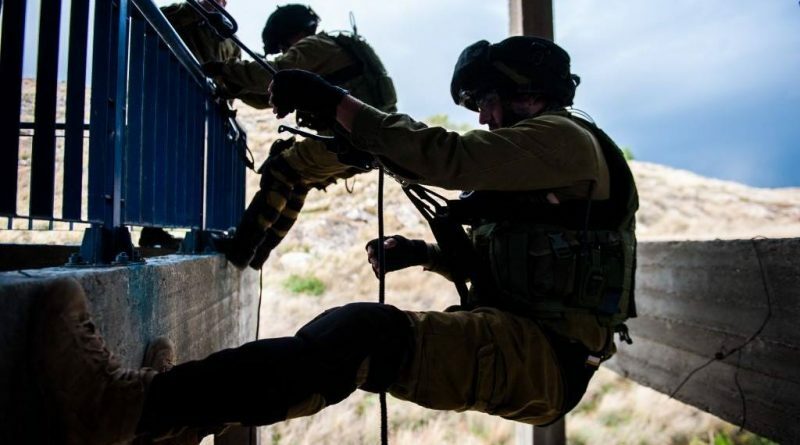 The part describing different periods of Israeli counterterrorism concluded that the tactics of interrogations carried out by Shin Bet proved to be efficient once again. As in the case of the Defensive Shield operation, this tactic allowed Israel to obtain crucial information which helped detect and eliminate the wanted terrorists. In addition, these tactics helped destroy the sites of the Qassam rockets by which the tools of terrorism mostly disappeared. Hence, this tactic could be labelled as reactive and pre-emptive simultaneously. During the war in Gaza, the targeted killing of Rayan took place by which the reactive and pre-emptive counterterrorism strategies were fulfilled as well. The last but not least, one of the most efficient actions were those with artillery, helicopters, and engineers. This tactic helped significantly decrease the number of the IDF casualties and therefore, it can be characterized as pre-emptive. Moreover, this tactics was very similar to the tactics of demolitions during the Defensive Shield. Both tactics helped protect the IDF soldiers significantly. Based on the examples of the Israeli counterterrorism actions during different periods after the Oslo Agreements, we would conclude that some of the Israeli counterterrorism actions were reactive and pre-emptive simultaneously. However, it is important to emphasize that the majority of the counterterrorism actions which were reactive and pre-emptive took place during the operations when the IDF had control over the Palestinian territories or at least had sealed them. Therefore, the Israeli counterterrorism actions could be considered reactive and pre-emptive simultaneously, however, the presence and activity of the IDF was a significant factor which can essentially influence whether the goals of both counterterrorism strategies are met. Bickerton J. I, Klausner L. Carla. (2015). A History of the Arab-Israeli Conflict-7th Edition. Routledge. Byman. D. (2011). A High Price: The Triumphs and Failures of Israeli Counterterrorism. Oxford University Press.